The right person whether is a midwife, a nurse, or a doula, plays a very important role in helping you experience optimal labor and birth. Today, I’ve decided to explain what a doula and a midwife are, whether or not they are qualified to help you get through the process of giving birth, what you should expect, and decide which one of the two you will want to assist you in the delivery room. 1 Doula vs Midwife – What Are They? 4 Doula vs Midwife – What Do They Do? 6.1 When Should You Use a Midwife? 6.2 When Should You Opt for a Doula? 7 Doula vs Midwife – Can You Have Both of Them? 8 How Much Does It Cost to Have a Midwife or a Doula? Doula vs Midwife – What Are They? The word “doula” has Greek origins and translates as “woman’s servant.” The Greeks and plenty of other nations have used this concept for several centuries because female caregivers who serve other women during childbirth represent an ancient practice. In fact, having a doula to help you give birth is said to create a positive impact on the whole labor process. Doulas don’t have formal obstetric training but they are good at providing support and guidance to a woman who’s pregnant or about to give birth. They are also known as birth coaches and postpartum supporters. Antepartum ones – these doulas offer you support before your due date, in case you were put on bed rest. They are also helpful for pregnant women who have a complicated or high-risk pregnancy. How do they help, you may ask? Well, for starters, they offer plenty of information, physical and emotional support, etc. Postpartum supporters – these caregivers will make sure you have everything you need and will take care of your well-being for the first couple of weeks right after birth. They will teach you the proper ways to feed and take care of your newborn. Sometimes, postpartum doulas even help you with cooking and cleaning so that you won’t feel overwhelmed. These are trained health professionals who assist, help, and support women during labor as well as delivery. Moreover, they stick around after birth, to make sure that everything is in order and that both you and your infant are healthy and well. Although it’s true that a midwife can take the place of a doctor, she is only trained to handle normal, low-risk, and uncomplicated pregnancies. A good midwife should have the necessary skills, knowledge, and experience to recognize and handle a labor’s normal progress while also knowing the proper methods to deal with potential deviations from a normal birth. Professionally certified midwives – just like certified midwives, professional ones are non-nurse health practitioners. They have clinical experience and training in childbirth but not all states allow them to practice. Doula vs Midwife – What Do They Do? Most women choose to collaborate with a doula just a couple of months before their due date. Since the start of their relationship and until the baby arrives, a close bond will develop between the mother and the caregiver. Doulas should be prepared to answer all your questions. If you choose a doula, you should feel free to express all your concerns about possible fears. They represent a constant source of encouragement. Recommends you good doctors or other health specialists, when needed. Labor and birth are quicker and have fewer complications. Reduced costs for parents and insurers; etc. With the help of a midwife, a pregnant woman can play a more active role during the entire experience. Not only is this option more affordable but it is also very convenient when you consider the possibility of giving birth in the privacy of your own home. Finally, midwives will also provide care and support postpartum. When Should You Use a Midwife? Midwives are also known as nurse-midwives (they receive this title only after they get a certification and proper official training). Nowadays, more and more people opt for a midwife instead of an OBGYN doctor. So, midwives are licensed to deliver babies. You can get a midwife at a hospital, a birthing center, or even at home. On the other hand, just to be on the safe side, you might also think about having an OBGYN doctor. These two should work together, especially in cases in which the pregnancy presents complications. 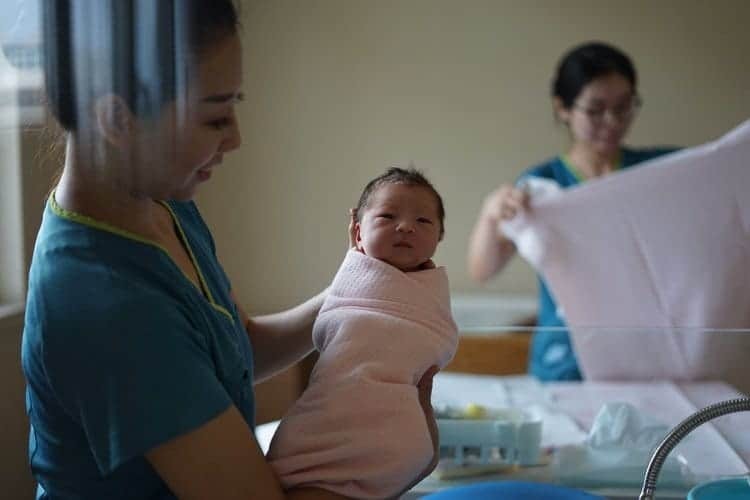 Still, if you want to bring your baby into this world at home, certified and experienced nurse-midwives are capable of helping you without having a doctor present. Using a midwife is pretty safe. Usually, until you reach 28 weeks of pregnancy, it is recommended to schedule monthly appointments with your caregiver. Then, until you’re 36 weeks, you will see your midwife twice a week. Finally, until your due date, you must meet with her one time per week. An appointment lasts, on average, between 30 and 45 minutes. When Should You Opt for a Doula? There’s no ideal moment to hire a doula. You can search for one as early as you want as long as you don’t wait too much. The idea is to find a good caregiver that meets your expectations as early as possible in order to develop a good relationship with her, based on mutual trust. This way, you two will get to know each other and talk about pregnancy, labor, birth, etc. Unlike midwives, however, doulas lack medical training so they cannot fully replace an OBGYN expert or even a midwife, especially during birth. Still, doulas can be great when you want some extra reassurance, guidance, and comfort. Doula vs Midwife – Can You Have Both of Them? The answer is yes! You can hire both a midwife and a doula because they provide different yet complementary services. As a matter of fact, having two skilled birth helpers instead of one can be quite a blessing as they can collaborate as a team to create a more joyous and supportive environment for you. The midwife will deliver your infant while the doula will play the role of ante and postpartum dedicated coach. Their presence might even help your partner to be stronger and more courageous when it comes to being there for you and remaining by your side during labor and delivery. Find out if she accepts health insurance. In the end, you should choose the midwife who matches your criteria, preferences, and level of comfort. Finding and working with a trained labor coach who’s right for you is crucial. You can find a good doula through recommendations or by interviewing several candidates before making a hire. Also, don’t forget that there are antepartum doulas, birth and labor coaches, and postpartum doulas. This type of specialist can truly prep you as well as your partner for the delivery process. Furthermore, think about what kind of doula you would like to have by your side because I’ve seen delicate and gentle doulas but I’ve also encountered some strong and firm labor coaches who are just like rocks. I am not saying that one type is better than the other because it totally depends on what your needs are. Inquire about her approach when it comes to childbirth, pregnancy, parenting, etc. Whatever you do, make sure to select an educated doula who supports you all the way. Choosing one that has connections to hospital staff would be excellent. Besides all these aspects, there should also be chemistry between you and your chosen birth coach: the two of you should click almost instantly. How Much Does It Cost to Have a Midwife or a Doula? The cost of hiring a doula varies based on region, her level of experience and expertise, popularity, etc. It usually ranges between $800 and $2,500. From what I’ve heard, the average price revolves around $1,200. Choose wisely because some labor coaches apply a flat fee while others charge by the hour. The average cost of having a midwife is approximately $2,000 but some might charge more. These fees normally include antepartum visits, labor, giving birth, and postnatal support. 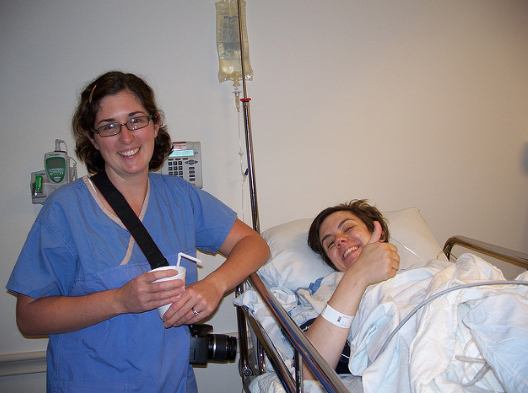 Typically, midwife expenses start from $1,500 and they can go as high as $3,000. Most home births aren’t covered by insurance but you should still ask your birth caregiver if she accepts health insurance. As you can see, both doulas and midwives are very helpful and much needed by more and more women during their pregnancy, when they are in labor and give birth, and for the postpartum period. These two types of experts have different skills but they can work great together. So, if you just want somebody that’s qualified to deliver your little one, you should opt for a midwife. On the other hand, if you’re looking for emotional support and useful advice but you have an OBGYN doctor, then a doula might come in handy. Lebenswert vs Hipp - Which Infant Formula is Better?